For the traveler in all of us – even if you’d rather stay home! 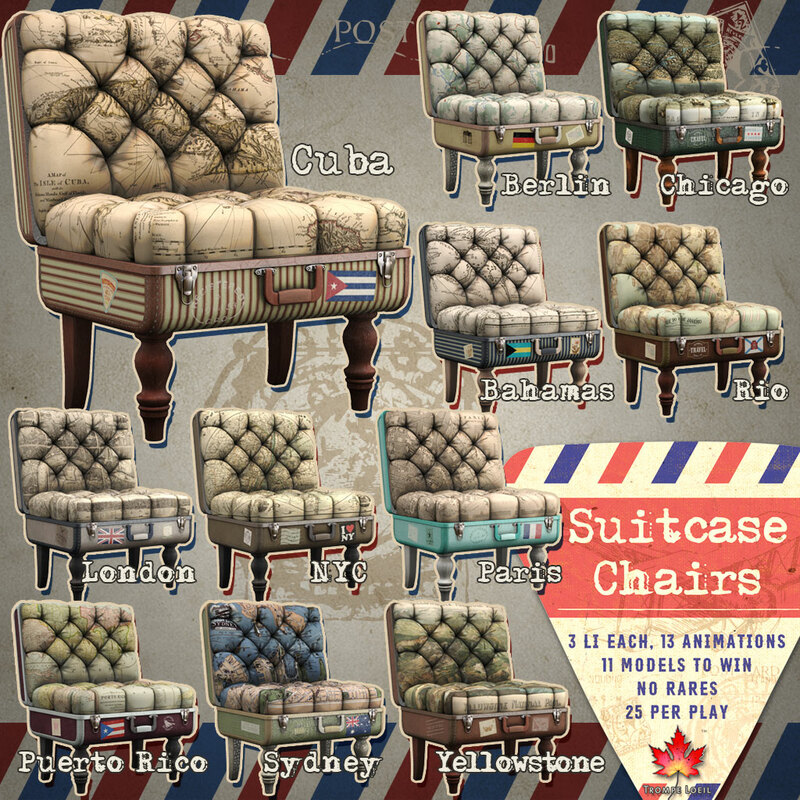 Collect all 11 Suitcase Chairs from the March round of The Arcade! Our Suitcase Chairs for The Arcade showcase 11 fantastic destinations in fun, fashionable accent chairs made from vintage suitcases. Each chair features 13 animated poses, the locality’s flag and other stamps and memorabilia, plus the plush cushioning is embroidered with the relevant map (so you don’t get lost). Only 3 Land Impact each, and as usual, no rares! Collect them all, only at The Arcade Gatcha’s March 2016 round!